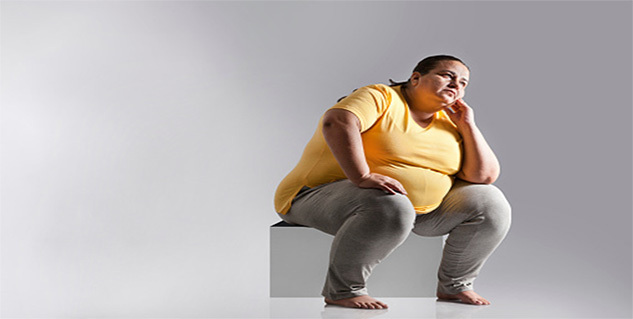 Overweight people are more prone to develop memory diseases. Calorie restriction leads to improved memory performance. Your diet and exercise plays vital role in preventing and reversing the obesity. Association of being overweight and risk of development of diabetes, heart disease, cancer, high cholesterol and high blood pressure is known. But did you know that obesity can affect memory and brain functioning as well? Is higher BMI at advancing age proportionately correlated with memory loss? Is this obesity induced cognitive damage reversible? Read on to know the latest information so you can prepare well ahead. Obesity or being overweight has emerged as an epidemic of the present century worldwide. The count of obese people with BMI >30 has crossed 300 million worldwide whereas more than a billion people has been categorized as overweight with BMI in the range of 25-30. While obesity has long been associated with heart disease, cancer, high cholesterol and high blood pressure, its link with deteriorated brain functioning is quite new. It has been reported that people with high levels of abdominal fat in their middle age are 3.6 times more prone to develop memory loss later in their life. It is recorded through the battery of memory tests that elderly community of age 70 or more on high calorie diet (2200 - 6,000 calories per day) are more susceptible towards the development of mild to moderate memory loss with complete cognitive decline at the much advanced stage, a condition known as Alzheimer’s disease. Obesity induced cognitive problems are not just restricted to memory loss only, rather it has been found that overweight and obese participants have 4 to 8% decreased brain volume i.e shrinked brain respectively. This brain shrinking directly correlates with the brain age, means higher the shrinking more is the early brain ageing. The potential mechanisms linking obesity and cognitive performance include oxidative stress, inflammation and vascular and metabolic alterations. Weight reduction through diet and exercise are the key strategies to prevent and reverse the obesity induced memory diseases. In a research study, where obese elderly with mild cognitive impairment were kept on calorie restricted diet with physical exercises; reduction in BMI results in an increase in thinking skills, verbal memory, language and executive functions detected by the battery of memory tests. The study outcomes further suggested that the weight reduction at the middle age is always better to prevent memory problems however weight reduction among obese elderly can too have fair chances to prevent further memory loss. It is of vital importance to understand that calorie restriction and optimum nutrition plays a significant role in memory disorder improvement. While utilization of high-energy diets rich in saturated and polyunsaturated fats have direct impact on brain parts responsible for memory functions, supplementation of diets rich in fiber, fruits, vegetables, whole grains, and omega-3 have been shown to have positive effects on cognitive function.